How Long Does Kratom Last in the Body? 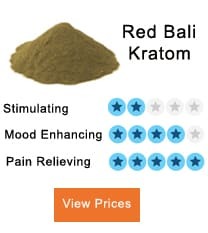 Kratom has been scientifically proven to combat a variety of different health matters, including pain, anxiety, stress, high blood pressure, mood swings, among others. Even so, there has been some confusion about it in several aspects, including that of its duration. Past and present studies reveal valuable information that goes hand in hand with how long kratom stays present in the internal system. It certainly comes down to several factors. 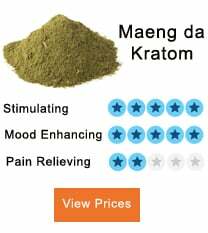 1 How Long Does Kratom Last in the Body? A lot of individuals who have yet to try kratom tend to be curious as to how long kratom would stay in their internal system if they were to use it. The reason for this curiosity tends to be due to wanting to know if kratom would cause dependence, which is not the case. Another reason tends to be due to wondering if it would show in a drug test result, which definitely would not in many drug tests. Studies have revealed that mitragynine, which is the main alkaloid found in kratom, has a half-life of approximately 23.24 hours. It would take about a full day to eliminate 50% of kratom present in the internal system. Five days would have to pass for the body to be completely free of kratom. The most rapid half-life of kratom alkaloids could be about seven hours, which would cause an entire elimination to take place in 1.6 days. When it comes to the slow section of the half-life spectrum, studies indicate that kratom could take 9 days to be eliminated. It is important to highlight that those individuals who utilized kratom at low doses or less frequently tend to be able to reduce it from their internal system at a faster pace. and food and water intake. Individuals who are older than 65 years of age would have kratom present in the body for a more extended period than a younger individual. If there is a high percentage of body fat, it can also take more time for kratom to be eliminated than it would if the individual was skinny or average. When it comes to food and water intake, eating a fatty meal before intake can cause faster absorption. Now, drinking a lot of water leads to hydration, which in turn causes kratom to be eliminated faster from one’s body. It is important to mention that mitragynine levels vary from plant to plant, kratom from Southeast Asia having the highest standards. Kratom’s effects began to be noted little by little, even if you intake it without eating first, which is a good thing that has made a lot of people want to give it the time of day. Taking a solution that hits the internal system at one shot right after intake might feel like a huge blow that might cause dizziness, upset stomach, and other matters to become apparent right away. Fortunately, this is not the case with kratom, one of the advantages that have made more individuals use it and thus are now benefiting of its properties. Studies have revealed that for those individuals who intake it before eating, its effects can be felt within 10 and 15 minutes. For one’s body not to have an adverse reaction when taking any solution, it has been noted that it is best for it to take approximately this number of minutes to become effective in the body. Of course, it is important to mention that with kratom, there are no lethal side effects present. It is a safe option to consider, which is something that cannot be expressed about prescribed medication that is meant to treat the same health matters that kratom has become well-known for alleviating. 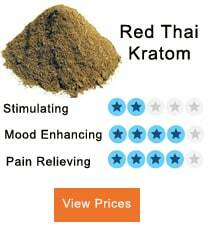 After kratom is taken, its peak effects take place 1 ½ to 2 ½ hours afterward. Studies have established the impact of a small dose of kratom can last for approximately 2 hours. 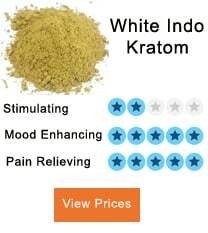 On the other hand, if one opts for a higher dose of kratom, effects may last about 8 hours. This information can be quite persuasive, making many conclude that taking a higher dose is the best option. Even so, this is not the case, especially in the beginning. Bodies are different and thus do not react the same to a new solution, hence the importance of always starting at a low dose. 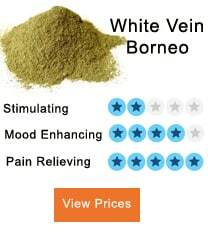 Kratom is a solution that provides a meaningful amount of stimulation if taken at low doses. What this means is that with kratom, more is not always better. There is this misunderstanding in the society that the more one takes a day of a particular solution, the faster one will be able to notice results. As one can conclude, this is not always the case. One wants to be aware of how the body is going to respond before opting for a higher dose. Prescribed medication has become well-known for containing harmful ingredients that can cause severe illnesses to arise; in some cases, they can even cause death, also if one follows the doctor’s instructions to a ‘T.’ It is better to prevent than lament. There is no reason as to why should opt for a solution that has been labeled as dangerous, when there are other solutions, like kratom, that are safer and that have regarded as being solutions that work just as well as a prescribed medication. Compared to other options on the market that are geared toward solving the health matters that kratom can combat, it is not on the expensive side, even though there is fluctuation in its price. 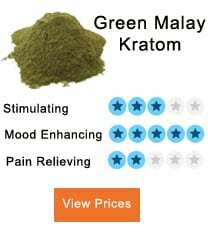 There are numerous positive reviews on different online platforms, ones that reflect just how great kratom is. It is not a quick fix. Kratom is a real solution, one that can make several health matters a thing of the past if taken as indicated.